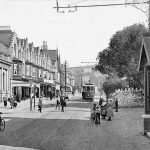 Welcome to the Colwyn Bay Heritage Group’s new website where you can find out all about the rich history of Colwyn Bay. 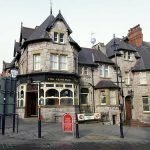 We aim to promote the heritage of Colwyn Bay and make it accessible to the whole community. We’ll be adding more articles in future so check back often. We also welcome your contributions in the form of old photos, articles and memories. Submit your contributions on our contact page. This is a new website launched in December 2011 so if you come across any teething problems we’d like to hear from you. The site will continue to develop so if you have any thoughts about what you would like to see here let us know. 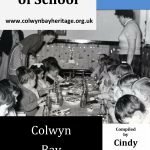 If you would like to play an active role in the development of the site we are always on the lookout for volunteers to join the Colwyn Bay Heritage Group. 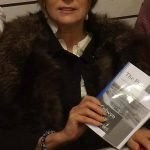 This site is in Welsh and English but some pages are currently awaiting translation and will be updated as soon as possible. We have aimed to make the site accessible to all users but if you do have problems get in touch. The site is designed to work in recent browsers and be usable in older browsers dating back to Internet Explorer 7. If you experience any layout problems consider updating your browser to the latest version. This will result in a better browsing experience for this and other websites. If you are local and need any help in accessing the site you can get help at Colwyn Bay Library and view the site there free of charge (or at any other library in Conwy).